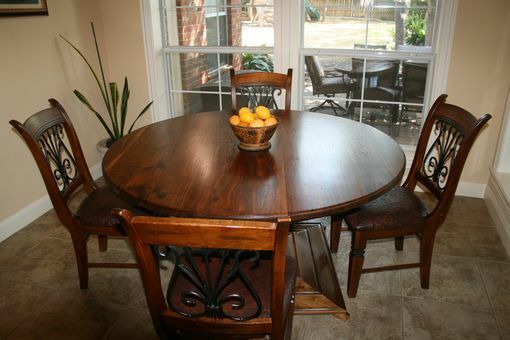 Round dinning table perfect for breakfast or dinning room. 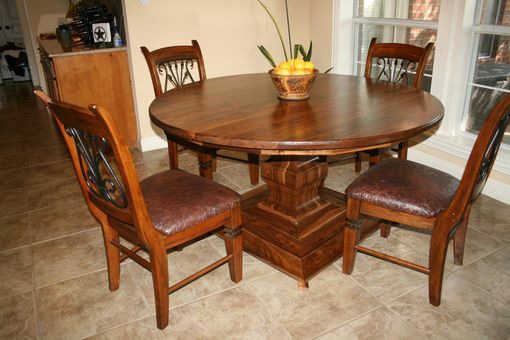 Custom made pedestal leg. We can build any size and any custom pedestal style or leg style. 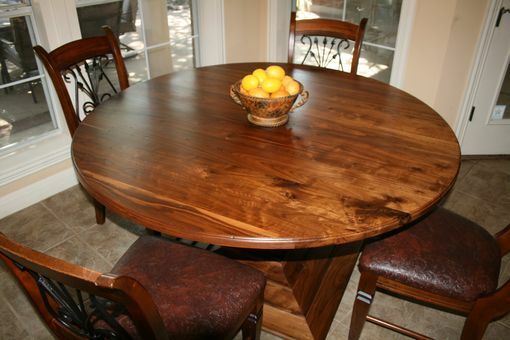 Give us a call or e-mail and let us design your next table. Price depends on wood type, size and leg design.